The road cut seems rather dull and gray at first, but the tuff and pumice rocks hold the secrets of a volcano. Covered in green ferns and brown roots, the rocks lock in the compositional and temporal signatures from past eruptions of the Taupo Volcanic Zone, New Zealand. Taupo is an active system, where some of the world's largest eruptions have occurred over the past two million years. In particular, between 350,000 and 240,000 years ago, Taupo exploded with seven eruptions–a volcanic 'flare-up' of activity. But why? A team of geoscientists went to New Zealand's North Island to dig into the answers and the white-gray rocks holding them. As explained in their findings, published this week in Science Advances, the team found that the flare-up of eruptions showed a pattern: The underlying magma body would erupt and reset over only decades to centuries in progressively shallower chambers close to the Earth's surface. A better understanding of what governs this pattern can help with understanding supereruptions, which may be mitigated by smaller and more frequent eruptions. In addition, these results could aid with predictions of similar type eruptions through improved modeling down the road. Vanderbilt University geoscientists led the team along with Michigan Technological University, University of Canterbury, Brown University, Princeton University, University of Lausanne, OFM Research-West and Woods Hole Oceanographic Institution. 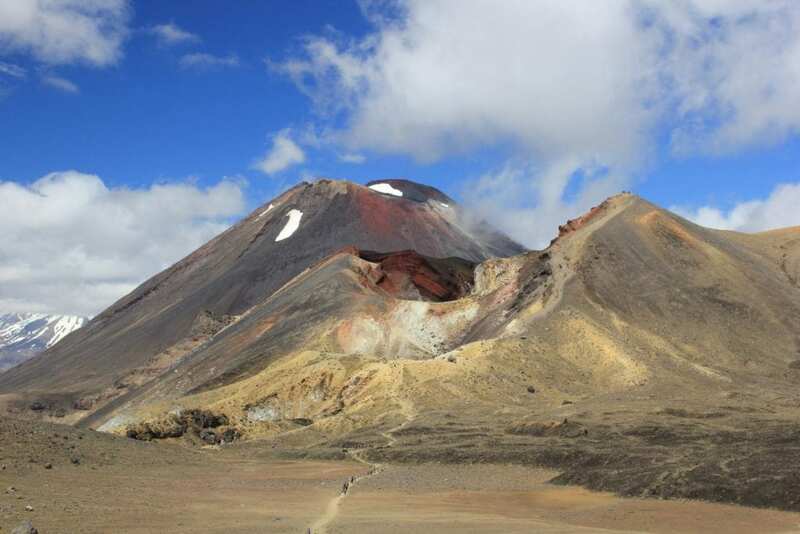 Chad Deering, an assistant professor of geology at Michigan Tech, studied the Taupo Volcanic Zone for his PhD and continues to do fieldwork in the area. "This massive outpouring of magma essentially drains the magmatic system over a relatively short period of time," Deering says. "However, following this activity, new magma rapidly ascends within the crust and primes it at shallow depths only to feed more large eruptions." The magma climbs the crustal ladder, so to speak, as it lodges in shallower and shallower chambers before erupting. The crust then warms and weakens, melting more of the surrounding crust, which enriches the magma with new minerals and water–a recipe for explosion. The question that remains is: How long did it take for these crystal-rich magma bodies to assemble between eruptions? The study's lead researcher, Guilherme Gualda of Vanderbilt University, says it could be thousands of years, but may be even shorter. "You have magma sitting there that's crystal-poor/melt-rich for a few decades, maybe 100 years, and then it erupts," Gualda said. "Then another magma body is established, but we don't know how gradually that body assembles. It's a period in which you're increasing the amount of melt in the crust." It all comes down to timing. And better understanding the timeline and chemical make-up of the Taupo Volcanic Zone in New Zealand gives insight into how supereruptions build up in volcanoes around the world.